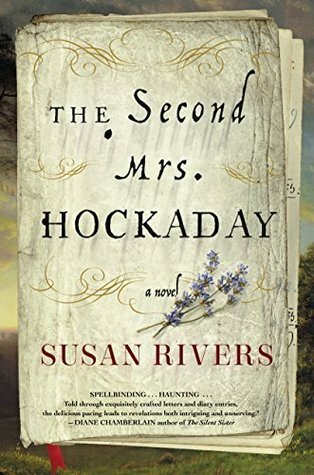 The Second Mrs. Hockaday by Susan Rivers has been on my Netgalley queue for months. It isn’t due out until January 2017, but seeing as it’s an epistolary novel, an art form I admire, I decided I couldn’t wait any longer. 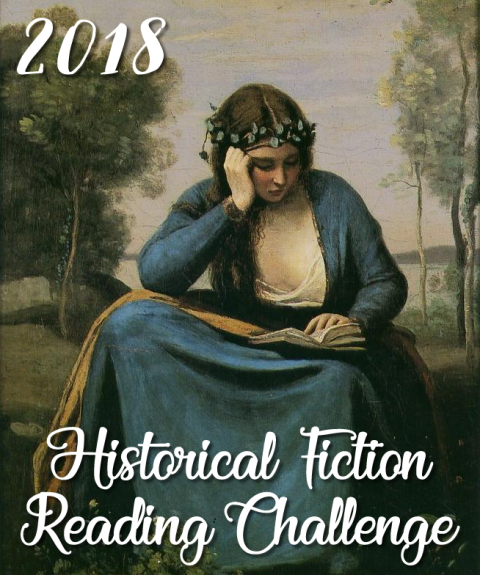 The title character is Placidia Fincher, daughter of a respected Southern gentleman farmer, who is rather abruptly wed to Major Gryffth Hockaday. Hockaday is an officer in the Confederate army who has recently lost his wife and has an infant son at home. Placidia is a seventeen-year-old beauty, immediately captivated by the Major. He’s on leave at the time of their meeting. They have only one full day and two nights together as husband and wife before he is commanded back to the field. Placidia is left in charge of a farm that is on the verge of failing. There are a few "servants" still in place, and Placidia is uncomfortable as mistress of a household where she is a stranger. She has to learn how to manage the farm, take care of a baby, and protect the property and its inhabitants from roving bands of raiders. She has to do this alone. The story opens with letters from Placidia to a sympathetic cousin. Placidia is under arrest at the request of her husband for crimes committed while he was away. The narrative unfolds slowly through guarded letters from Placidia, through the scant love letters that reached their destination during the war, and from concerned letters of family members. The time frame abruptly shifts to letters of descendants sorting through what might have happened, aided to full understanding at last by the revelations in Placidia’s diary. Although the narrative is somewhat choppy because of this format, it helps to keep crucial details hidden and add an element of suspense. 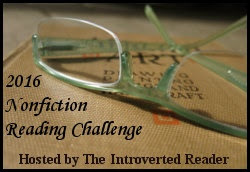 One might guess the true culprit, but there’s enough doubt to keep the reader turning pages. Placidia’s strength in the face of her struggles make her a worthy heroine. 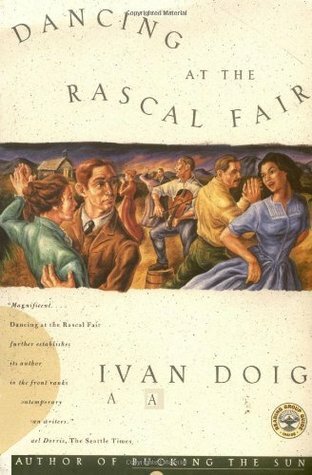 Here’s a book to lose yourself in: Dancing at the Rascal Fair by Ivan Doig. Doig is another historical fiction legend whose books have loomed out there but that I had never tackled. 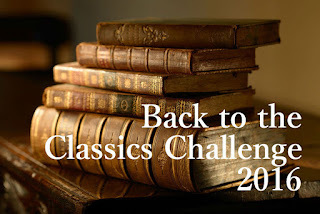 Dancing at the Rascal Fair is the second novel in The Montana Trilogy and in a rather heretical move for me, I started in the middle of the trilogy. The novel is complete in itself so it doesn’t matter that it’s the second of three. Nevertheless, I now have to go back and read English Creek, because this is the kind of sweeping historical saga I love. The story is narrated beautifully by Angus McCaskill, one of a pair of nineteen-year-old men emigrating from Scotland to find better lives. His partner, the enthusiastic leader of the adventure, is Rob Barclay. Rob has an uncle, Lucas Barclay, who left Scotland years before to settle in Montana. Every Christmas, Lucas sends $100.00 back to his kin, evidence of his success in the bountiful America. Although terrified of water and reluctant to cross the Atlantic–a reasonable fear given what they go through in steerage–Angus is ready to follow the charismatic Rob to the end of the earth, believing that the free land awaiting them in Montana is worth the risk. Once across the Atlantic, crossing the US is easy, but finding Lucas is harder than they thought. And when they finally locate him, in a tiny idea of a town called Gros Ventre, he’s not the same man they remember. Still, he takes them under his wing and helps them embrace the challenges of the new world. In time, they stake their claims to plots of good Montana land and begin lives as sheep farmers. There are good times and bad. The life is hard, but working side-by-side, they scratch out a measure of success. Rob marries and settles in. For Angus, it’s more difficult. He falls in love with the school teacher in the next settlement, Anna Ramsey. Meanwhile, Rob sends to Scotland for his young sister, Adair. Rob is certain Angus and his sister will make a good pair. Rob is used to getting his way. He wouldn’t have, this time, except that Anna rejects Angus’s proposal. On the rebound and tired of life alone, and because Adair is intelligent, quiet, and a reasonable enough choice, Angus marries her after all. The novel carries us from 1889 through the end of WWI, taking us along through major changes in the western US and the world. As historical fiction, it immerses the reader in time and place, but more than the epic history so wonderfully presented, it’s the people who make this such an engrossing read. The families are buffeted by the hardships of homesteading in Montana and by the difficulties inherent in marriages and in friendships. Angus is as steady as they come, but his hard-headed obsession with a woman who doesn’t want him eventually costs him dearly. Rob, ever convinced that whatever he does is right, cannot come to grips with the fact that his closest friend no longer will follow wherever he leads. This is one of those stories that wraps you up in the lives of the characters and breaks your heart. 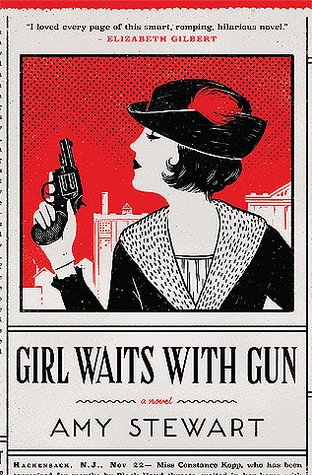 This past week, I took care of a deficiency in my novel reading: I think I may have been the only person who hadn’t yet read Girl Waits with Gun by Amy Stewart. This fast-moving historical novel is based on a true-life character, Constance Kopp, who became a female deputy sheriff in Paterson, N.J., back in the early 1900s. Constance and her sisters, Norma and Fleurette, live on a farm outside of town, essentially hiding from the world, having had a fear of strangers instilled in them from birth by their now-deceased mother. Norma prefers animals and farmwork to people so the isolation doesn’t bother her. The significantly younger Fleurette, extremely pretty, pampered, and innocent to the point of gullibility, wants more interaction with others because she loves drama and being admired. And then there’s Constance. Her motivating concerns are revealed through the course of the novel. Tall and imposing, Constance has a no-nonsense approach to life. She’ll do anything to take care of her sisters. Previously, that has meant housework and farmwork and worrying about finances. This changes when, during a trip into town to shop, they are involved in an accident. A reckless driver plows his car into their horsecart. Although their injuries are relatively minor, the cart is ruined. The driver, Henry Kaufman, owns one of the local silk mills. He’s a belligerent bully who has no intention of taking responsibility for the damage he’s done. When Constance presses for payment, Henry unleashes his squadron of thugs on the Kopp sisters. He’s employed these men as strikebreakers in the past, and they know how to instill terror. The Kopps endure bricks through their windows, an attempt to burn down their house, death threats, and most horrible of all, threats to kidnap Fleurette. Although Constance has enlisted the help of local law enforcement, discovering an ally in the attentive Sheriff Heath, it is Constance’s bravery and commonsense response to each new threat, as well as her determination not to cave in to the powerful factory owner, that brings the adventure to a satisfying conclusion. The quirky Kopp family guarantees an enjoyable read. Book two is out now and I’ll make sure it doesn’t take me as long to get to that one. In recent years, historical fiction fans have been treated to a number of exciting, emotionally compelling novels about women during WWII. Mostly focusing on aviators, spies, or women involved in the Resistance, they also show how women coped with trying to survive and protect their families while living under occupation. The stories generally are based on real life situations, and it’s fascinating to contemplate the strength and resiliency of these women and what they accomplished. 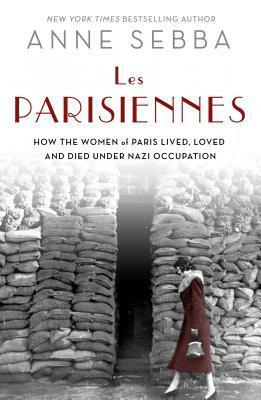 Having enjoyed a number of these books, I was excited by the upcoming release (October 18) of Anne Sebba’s nonfiction account: Les Parisiennes: How the Women of Paris Lived, Loved, and Died Under Nazi Occupation. The book is exhaustively researched with extensive notes. It includes examples of women from many walks of life whose levels of resistance versus adaptation varied widely. It also includes women who were viewed as collaborators, and raises questions about just what "collaboration" meant. One important point raised was how differently Jews in France were treated by both Nazis and the non-Jewish French population as compared with women resisters, during and after the war. Moreover, women’s roles were deliberately downplayed by men in power after the war, who seemed unable to admit just how dependent the fight had been on females. It’s an eye-opening and sometimes difficult book because of the injustices exposed. For all these reasons, it is well worth the read. That said, it often reads as a string of anecdotes and the thread of what the author is trying to say gets lost. Organized into chronological sections, each section bounces from one woman to another as if simply to squeeze as much of the author’s research in as possible. It’s difficult to keep the players straight, and for that reason, each woman’s individual story loses its appeal. While the anecdotes were interesting, the book as a whole tended to drag. I ended up not so much interested in the narratives of the individual lives, but more in the overall impression created by so much determination and sacrifice, much of which went unacknowledged until recently. 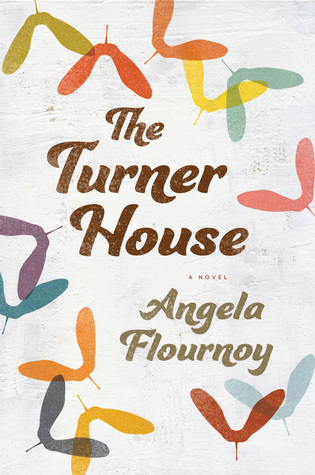 My book group is meeting soon, and the choice this time is The Turner House by Angela Flournoy. This is a poignant family drama, covering 2+ generations of Turners, a large family centered in Detroit during the Great Recession and collapse of the housing market. At issue is the family home on Yarrow Street. Although all thirteen of the children had grown up and moved away, the matriarch of the family, Viola Turner, had continued to cling to the devastated property until a final illness necessitated her removal to the suburban home of her eldest son, Francis. Viola is declining, a fact no one wants to face. However, what brings the siblings (those still living in the Detroit area) back for a family conference is a notice that their mother’s mortgage is underwater. They owe forty thousand dollars and the house is worth, at most, four thousand. Each of the siblings wants to deal with that news in their own way, but none of the options is good. Francis has his mother’s power-of-attorney, and everyone expects him to take charge as he always has, but they reserve the right to criticize and complain. As for Francis, he has other problems just now– the return of a "haint" that has troubled him since his youth. According to old family lore, the teenage Francis had battled this ghost one night in their home, until told in no uncertain terms by their father that "There ain’t no haints in Detroit." 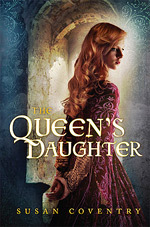 While each of the siblings puts in an appearance, the novel focuses mainly on Francis, the eldest, and Lelah, the youngest. While Francis has made a stable life for himself, his wife, and their two children, Lelah is living on the edge. Following a failed marriage, she raised her daughter on her own–with help from her family–but is now succumbing to a long gambling addiction. Evicted from her apartment, Lelah has sneaked back to the tumble-down Yarrow Street home, her last possible refuge. This is an in-depth exploration of family dynamics, the struggles of the middle class and some who have fallen out of it, and of race. It’s a clear-eyed depiction of life in Detroit. Flashbacks into the earlier lives of Francis Senior and a much younger Viola round out the intergenerational saga. Into this is injected a touch of the supernatural. Is the haint real or not? A wonderful book-club book, I’m looking forward to our meeting and discussion. 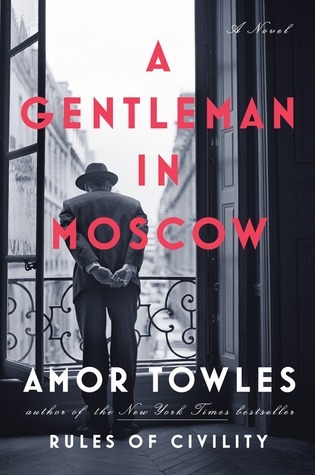 I just finished a beautiful book, A Gentleman in Moscow by Amor Towles. This is even better than Rules of Civility, Towles’ first well-received novel. The gentleman is Count Alexander Ilyich Rostov, who found himself in Moscow, living in the famed luxury hotel, The Metropol, just after the revolution. As the novel opens, in 1922, Alexander is called before "The Emergency Committee of the People’s Commissariat for Internal Affairs." He is tried and found guilty of being an aristocrat, a traitor to the revolutionary ideals. Most of Russia’s aristocrats either died during the revolution, were executed afterward, were banished to Siberia, or are living as unobtrusively as possible so as not to attract the attention of the Party. Alexander, at one time a revered poet, is too well known to fade away. Fortunately for the count, his poetry was seen as inspirational to the budding revolutionary movement. Therefore, his judges don’t sentence him to death or exile. Instead, they sentence him to house arrest. Alexander lives in a suite of rooms at the Metropol. Although its glory fades somewhat due to the wars, it’s still a pretty posh place. As part of his punishment, he is removed from his suite and sent to the hotel attic to live in a single tiny room–he has to climb a few flights of stairs to reach it. He can only take a few of his possessions. The rest are confiscated by "the people." If he leaves the hotel, he will be shot on sight. Accepting his fate, he commences his new life. The beauty of the book is what he makes of it. 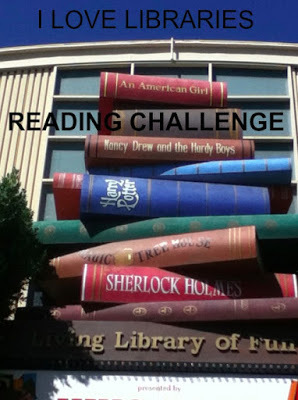 I found this book engrossing. Still, when I tried telling my husband how wonderful it was, I couldn’t convey how it could be so interesting given the limited geography. This is a fascinating time in Russian history, but we learn about it from the perspective of a man in Moscow who must experience it all secondhand. The count spends his days performing rather routine functions. He passes his time wandering about the hotel, eating splendid meals, visiting his barber weekly, meeting various guests, and talking with his friends: the concierge, the head chef, the hotel seamstress. He meets a young girl, a guest at the hotel, whose curiosity and intelligence inspire him to broaden his own horizons by looking around. He even conducts a love affair with an unlikely guest. Naturally, some of his time is spent reminiscing, either aloud to friends or alone. His past life was glamorous in some ways, but he doesn’t wallow in self pity at being denied the life he expected to live. Alexander makes the best of what he’s given. Towles’ writing is so superb and the protagonist is so engaging that it all works. Alexander is a hero to truly admire. He’s kind, friendly, a master of self-control, and able throughout to maintain the well-bred manners of a perfect gentleman. At each setback, he considers the viewpoint of his adversaries, and he adapts. At one point, a well-connected member of the Party who has asked a favor of Alexander compliments him on how well he has reconciled himself to his situation. Alexander responds that being resigned is not the same as being reconciled, giving the reader a deeper insight into his internal struggles. Yet what makes Alexander a truly empathetic hero is that he recognizes how fortunate he actually is. It’s a delight to spend time with a character so steady and so charming. His dry wit lights up the pages, and his ability to see the humor in dark situations clues the reader in to how this imprisoned count is able to enjoy life in spite of its trials.